Acknowledged author Benjamin A. Pierce wrote Genetics: A Conceptual Approach comprising 928 pages back in 2016. Textbook and etextbook are published under ISBN 1319050964 and 9781319050962. Since then Genetics: A Conceptual Approach textbook received total rating of 3.5 stars and was available to sell back to BooksRun online for the top buyback price of $52.45 or rent at the marketplace. 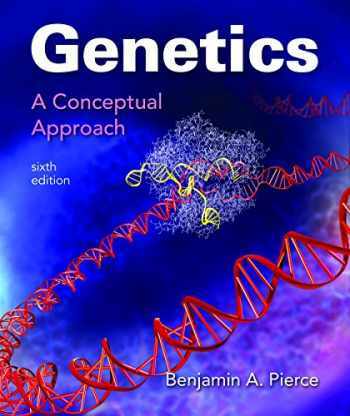 Note: This is a Standalone book and does not include Access Card/Code.With Genetics: A Conceptual Approach, Ben Pierce brings a master teacher’s experiences to the introductory genetics textbook, clarifying this complex subject by focusing on the big picture of genetics concepts and how those concepts connect to one another. The new edition continues the Pierce tradition of pedagogical excellence and scientific currency.